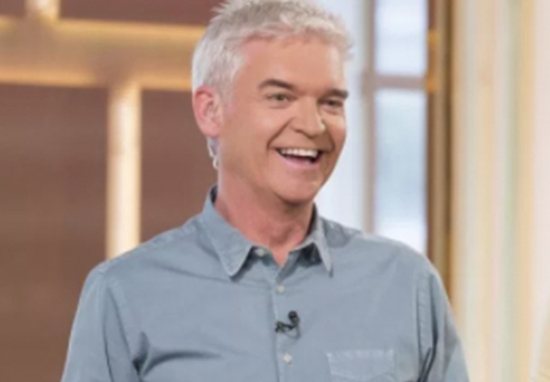 Phillip Schofield has found a home in our hearts on the This Morning sofa alongside Holly Willoughby, but his on screen pulling power could come mean another star turn of opportunity could come a-knocking. Phil could soon be appearing in the music charts after he was reportedly offered a two-album record deal earlier this week. 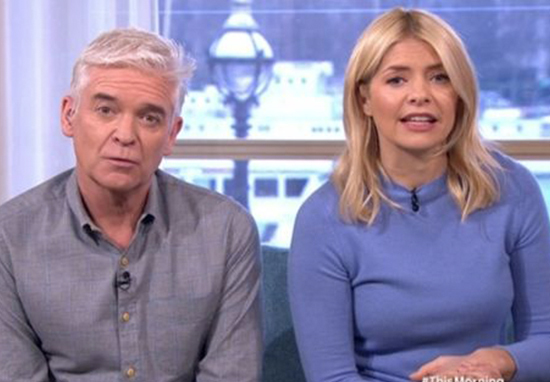 The This Morning presenter, 56, is said to have been given the chance by Warner Record bosses who see him as a potential pop star. 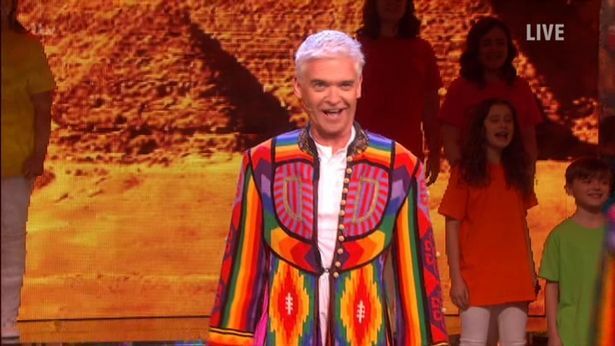 He recently appeared on Saturday Night Takeaway performing as part of an ensemble tribute to Andrew Lloyd-Webber with songs from Joseph and the Amazing Technicolor Dreamcoat. Phil belted out the tunes for the ‘End of the Show Show’ and it’s no surprise he’s got a knack for it, he was the lead role in the hit West End show between 1991-1997. However before you lose your marbles and jump on Spotify, Phil has unfortunately turned the opportunity down. I’m afraid Phillip isn’t releasing an album. Warner execs must be disappointed after other much-loved TV presenters have achieved chart success. 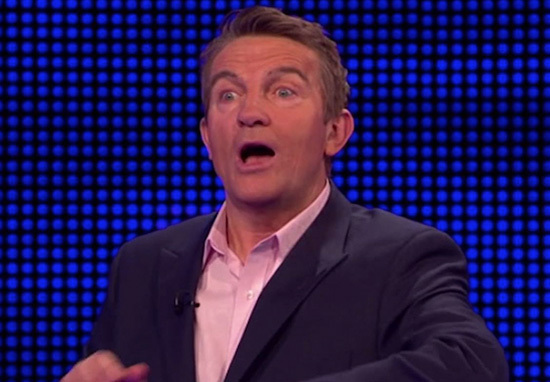 Bradley Walsh of ITV’s The Chase earned the best-selling album of 2016 with his album, Chasing Dreams. Let that sink in for a moment, Bradley Walsh had the biggest album of 2016. I just laughed when I found out. I thought it was hysterical. I am probably the oldest new artist Sony has ever signed. Niall Horan (Zayn’s former bandmate) was sending me messages, laughing his head off. And I got big congratulations from Simon Cowell. He thoroughly enjoyed it. It’s easy to forget he was in Joseph years ago. His cameo got people talking again. Warner wants to tap into that interest. His deal is for one album this year and one next. Execs hope he might have the same kind of success as Bradley Walsh. 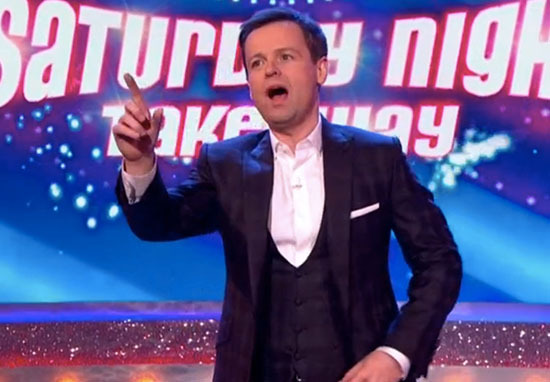 Meanwhile, Dec finished the season finale of Saturday Night Takeaway with his head held high, presenting on his own showing his true presenting talent following Ant McPartlin’s arrest following a drink-drive incident. Opening and closing the show to a standing ovation, Dec’s nerves were quickly settled as he opened with a joke about having to finish the job himself, and kept guest announcer Stephen Merchant from coming down to the stage as a stand in, on the basis he’d make him look like ‘a short arse’. Dec kept a brave face opening the show alone after Ant’s public breakdown following his divorce from Lisa Armstrong in January, a result of self-confessed drink and drug dependency. In March McPartlin crashed his car and was arrested and charged with drink-driving. What a legend, and Phil, you too – even if you don’t want to pursue that pop career!